Atco Motor Mower "Oval Frame Standard"
Interesting to see two of the original Atco Motor Mower models on eBay at the moment. The Atco Motor Mower was introduced in 1921 and, as far as we know, around 900 machines were sold during that first year. All of these machines were 22" cutting width and had a Villiers 269cc two stroke engine. 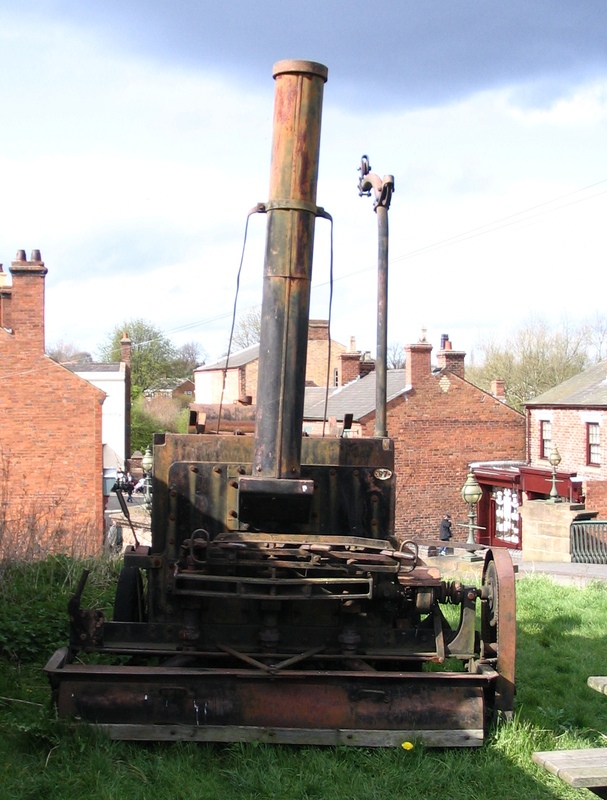 One of the striking features of the mower was the frame. This was constructed using cast iron components with an oval cross-section. This proved to be a little too brittle for the mowers but was probably only an interim material used before a more durable malleable cast iron frame was available sometime in 1922. It's likely that some of these "oval frame" models were made or sold in the early part of 1922 but certainly by the end of that year the new design was in production and models with additional cutting widths were also introduced. All this means that the oval frame versions are 1921 or (possibly) early 1922 while all other Atco Motor Mowers were made no earlier that 1922. Incidentally, the manufacturer Charles H Pugh used the name "The Atco Motor Mower" for all of these mowers until it introduced new designs in the early 1930s. At some point after that the name "Atco Standard" came into use to differentiate between the older and new models. 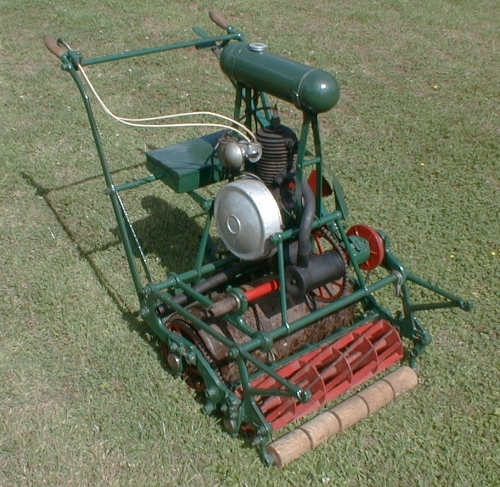 In many respects the Atco Motor Mower (more specifically the oval frame model) was the first mass produced motor mower and as such should be a desirable addition to any collection. Read more about Atco Motor Mower "Oval Frame Standard"
We've recently heard that a steam mower has been spotted at a secret location in England. These machines are extremely rare and up until now we only knew about two. One is at the Museum of English Rural Life in Reading and the other at the Commercial Vehicle Museum in Leyland. Apparently the second of these is a replica of the first. Rumours of steam mowers in private collections crop up occasionally but this is the first time we've seen a picture. Our correspondent says that there are no manufacturer's markings on the mower as far as he can tell although the word Ebrill is cast into one of the side frames and Amadán in the other. The cutting cylinder appears to be missing as well. If anyone has any information about this machine please let the club know. The Daily Mail paper featured this lawn mower earlier this week but closer attention reveals that the designs were made in 2008 so (it could be argued) this might qualify as an old lawn mower. Actually, at one of our shows in 2011 we shared a tent with the current land-speed-record-holding lawn mower so we know all about faster machines. Members of the club who have their own username and password can add comments to the site and participate in forums. Non-members of the club can also register to participate in the forums. Click here to set up your own details. You do not need to register if all you want to do is visit the site and read the content.